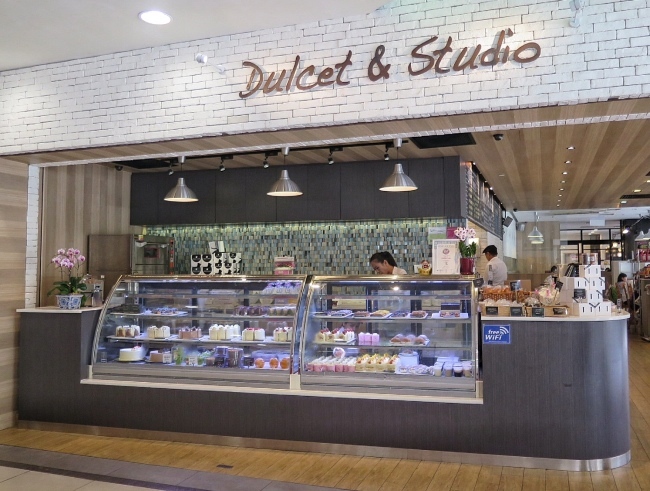 Dulcet & Studio (Liang Court) ~ I have always hear good reviews about Dulcet & Studio's cakes and pastries especially the cream puff. We were having a staycation at Liang Court Somerset. 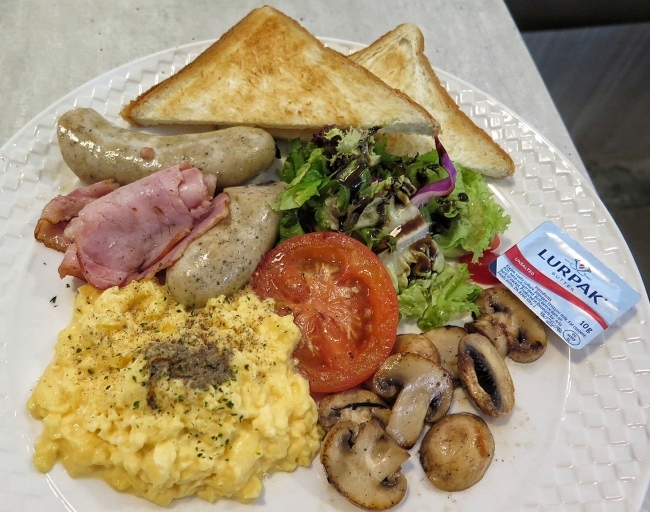 Hence, I thought to try their brunch with my family as well. 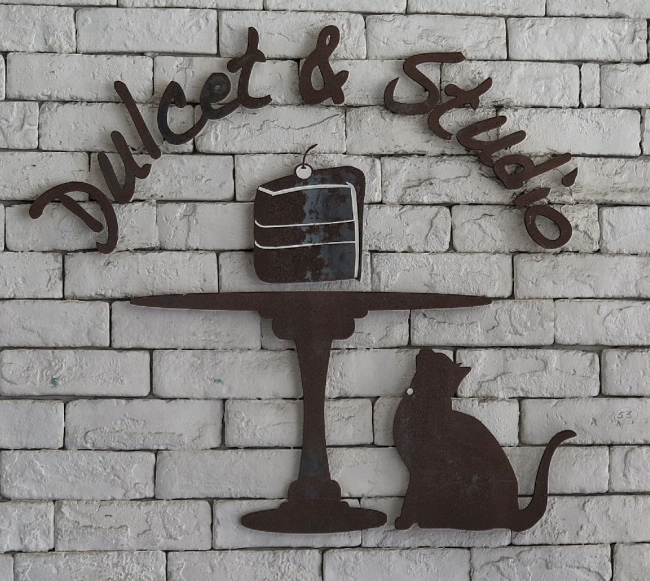 Dulcet & Studio, designed by one of the top Japanese designers based out of Tokyo. 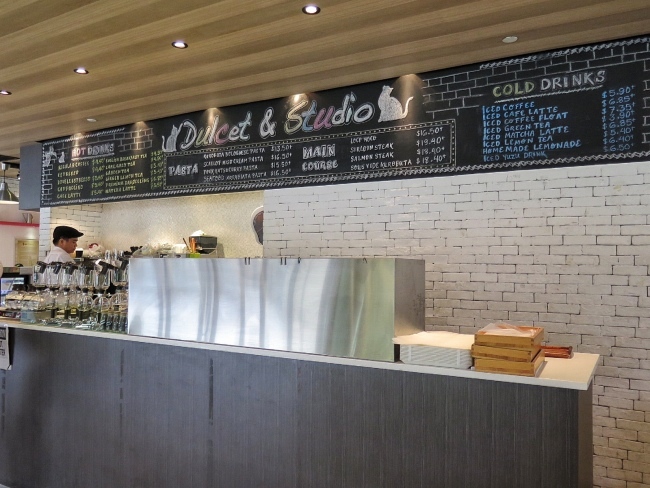 Aside from being a cafe, the studio also offer hands-on baking classes. 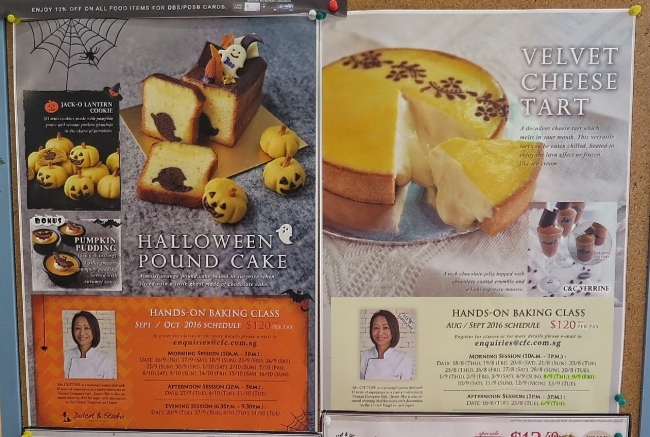 You can learn from Ms Chitose (their award-winning pastry chef) herself. So cool! 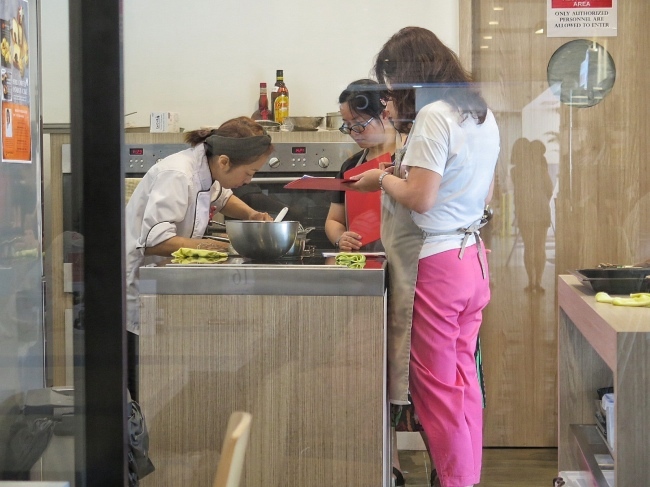 I also prefer hands-on baking classes as it will help me to pick up the skills more easily. 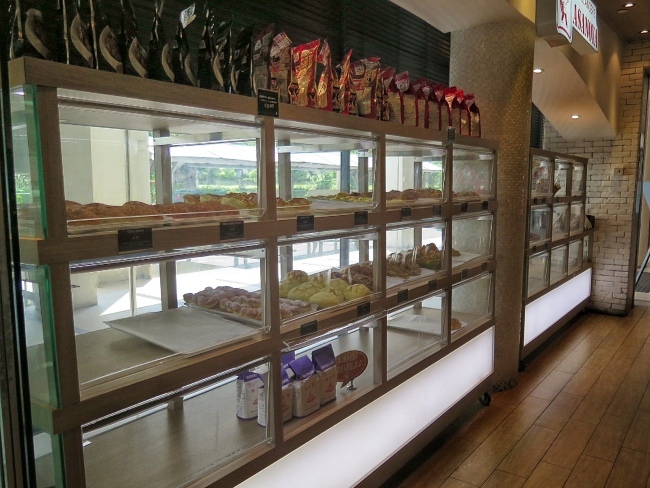 I love their cakes and pastries display at the entrance of the shop. 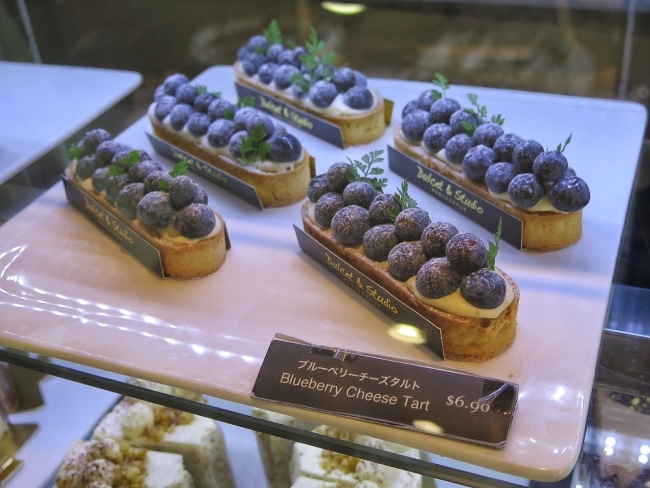 They look so temptingly delicious that I wish I can bring all home! A Nice Cozy Cafe where we just relax and enjoy our meals. 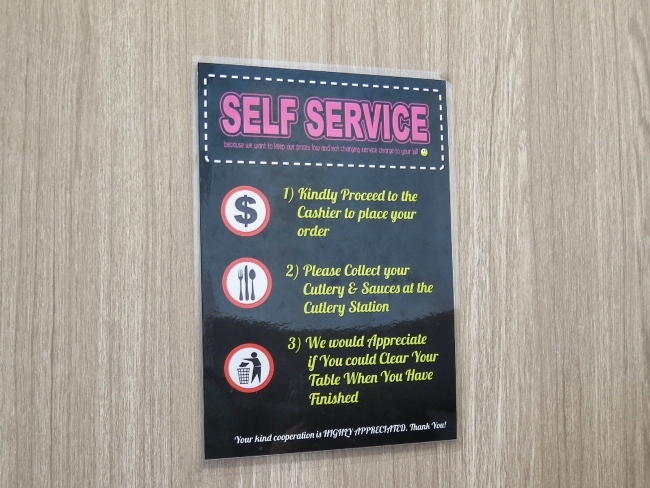 It is self-service cafe. They do not charge you service charge. You just simply proceed to the cashier to place your order. Then collect the cutlery and sauces from their cutlery station. Just do this and you save the service charge. I don't mind doing this and save the service charge. It will be also good that you clear the table when you finished the meal too. We ordered 2 sets of their Weekend All-Day Brunch. 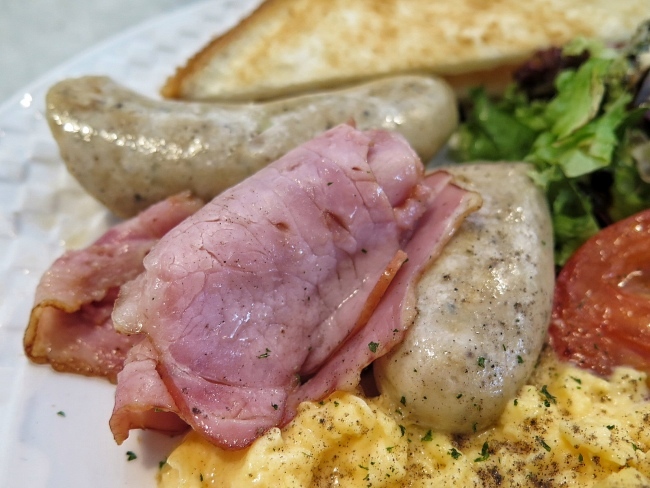 It comes with Pok Bratwurst, Grilled Tomato, Sauteed Mushrooms, Mesclun Salad, Choice of Bacon/ Kurobuta Ham and Choice of Eggs. 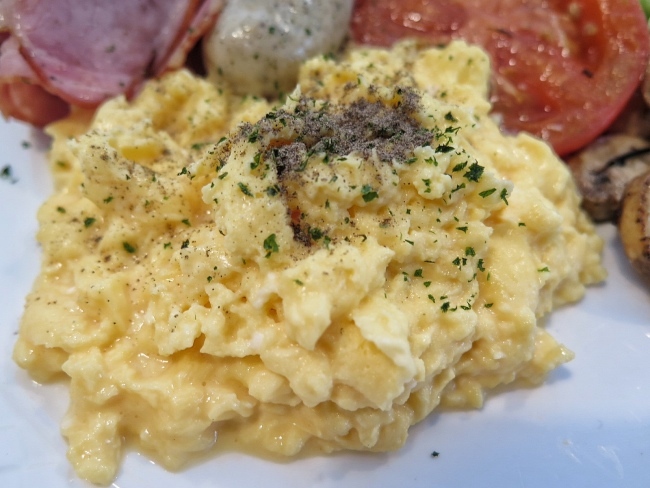 We picked scrambled eggs as it is easier to share. 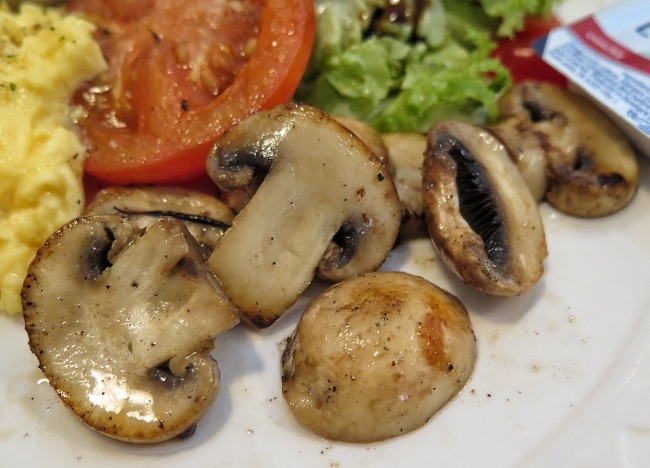 The mushrooms were pretty juicy. 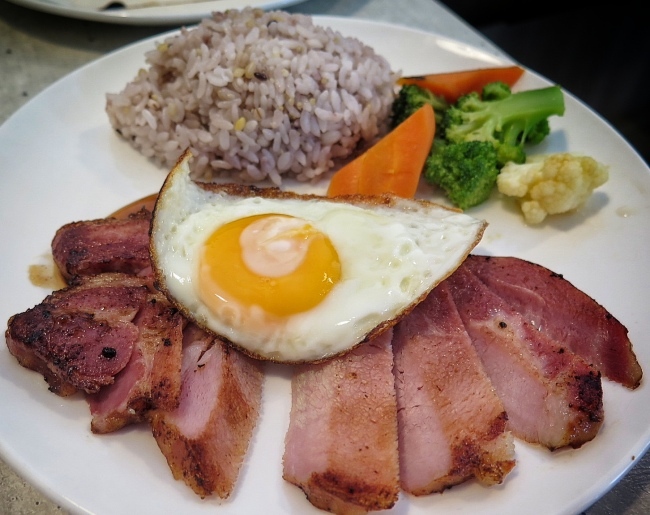 I am not a fan of bacon recently so we go for the Kurobuta Ham. The scrambled eggs were quite smooth. Love the grilled juicy fresh tomato! 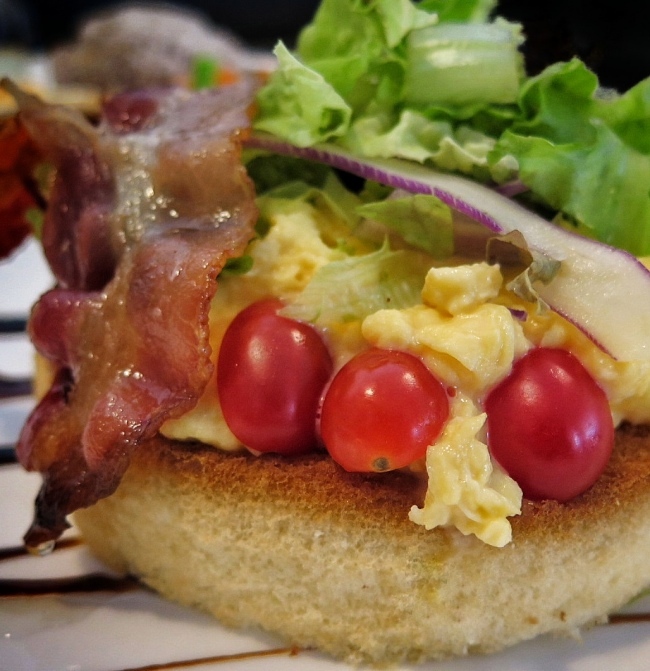 Scrambled Eggs, Cherry Tomato, Chopped Salad and Bacons on top of Chiffon Cake served with maple syrup. Interesting. 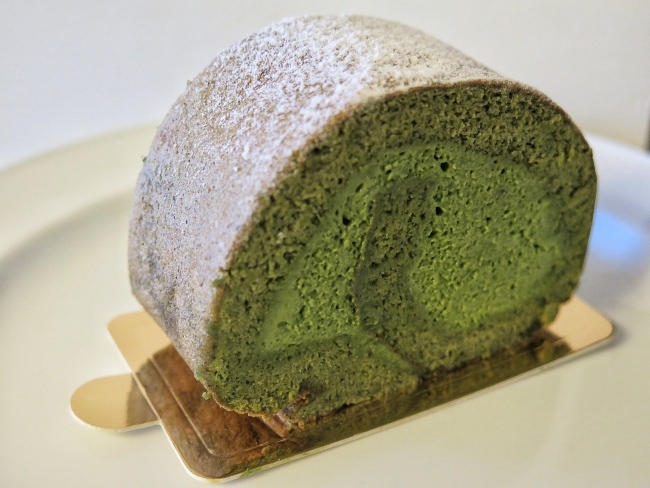 I have never had savoury chiffon cake. 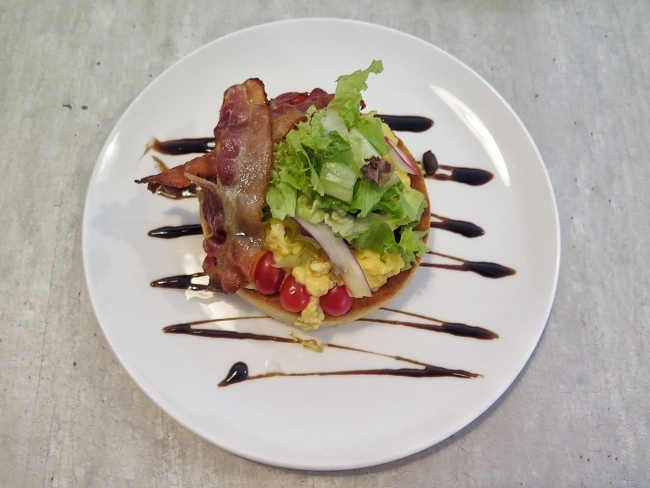 It reminds me of savoury pancakes. 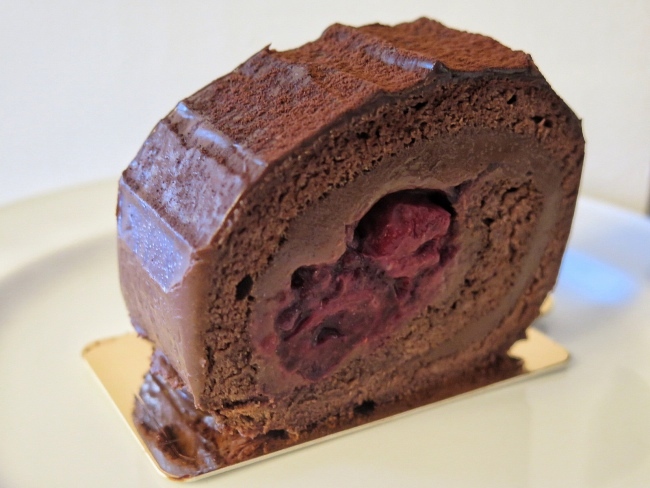 The chiffon cake is very light and fluffy. I think it is very creative and I enjoyed it! 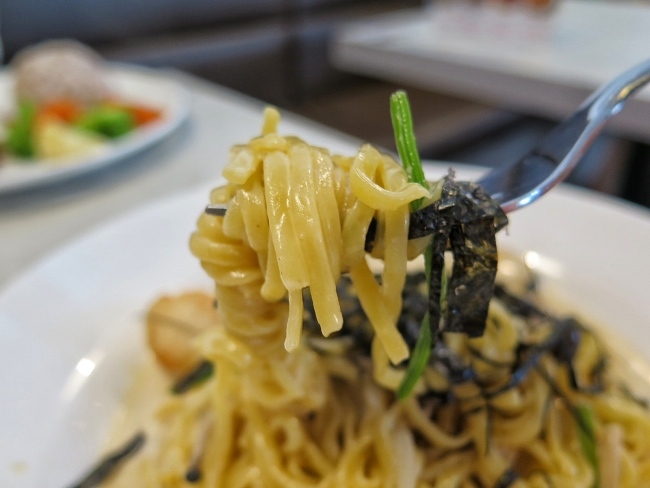 I read reviews that their pasta are very pretty good. 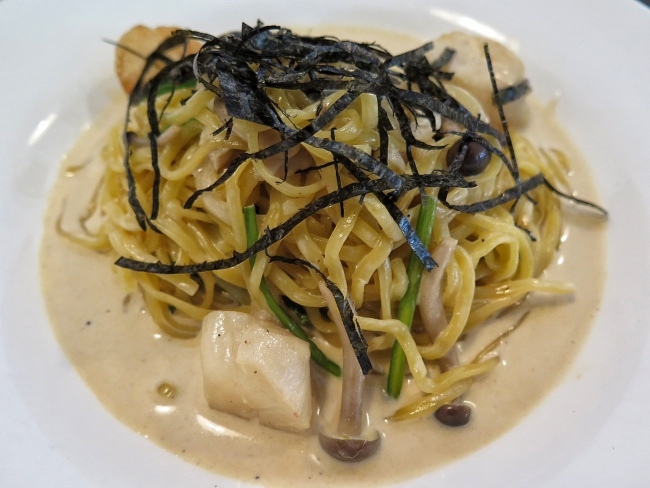 Pasta with Japanese Inspiration. Flavourful but Light Miso Cream base which well-complements the succulent scallop. Interesting I didn't know Miso can also used for Pasta. Kinda disappointed by the look of the egg yolk. Not a very lovely sunny side up. Haha Not very Sunny. Covered by Clouds. Kurobuta Ham Steak were quite tender and lean. It goes well with the rice. The strawberry shake was kinda disappointing. We didn't feel there is any ice cream blended in it. 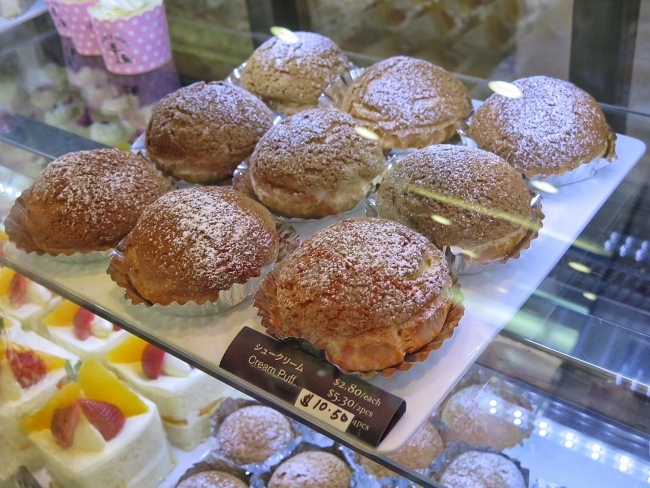 We were so full after our meals but the cream puff and cakes were just so tempting. We just ordered them as take away for afternoon tea. 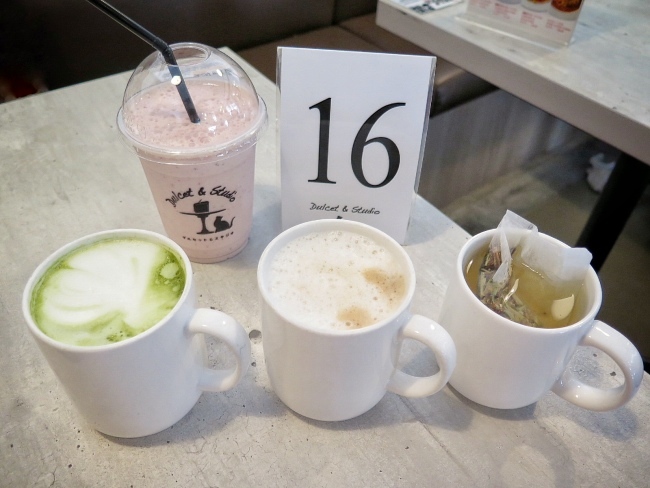 Dulcet & Studio (Liang Court) ~ Nice Cozy cafe. 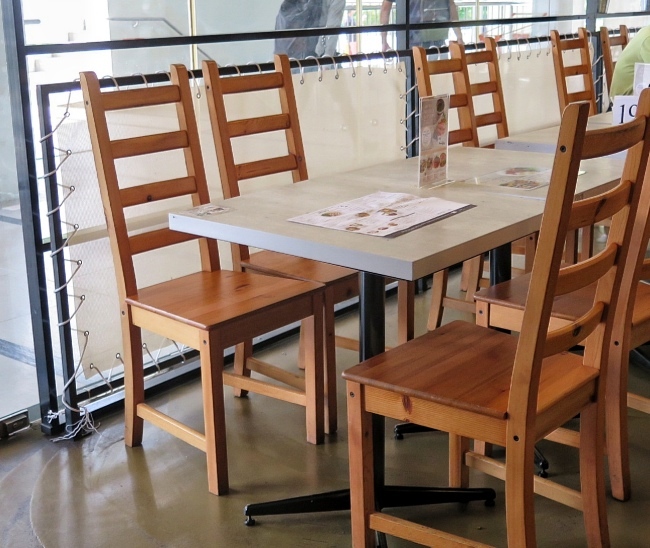 Great for small family and friends gathering or couples. 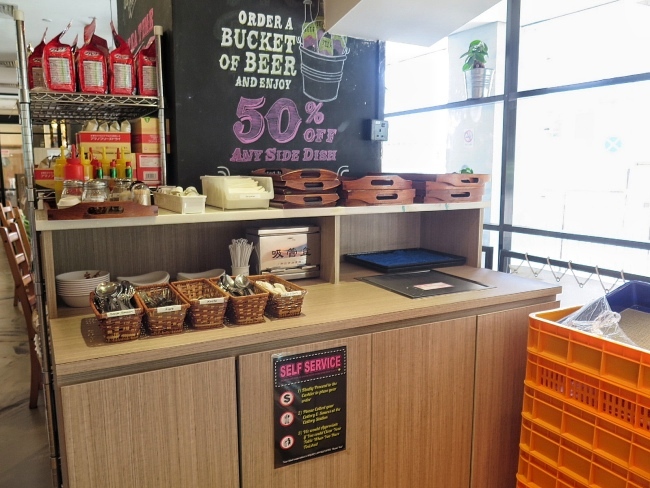 A casual dining place with a self-service concept. They don't charge service charge. 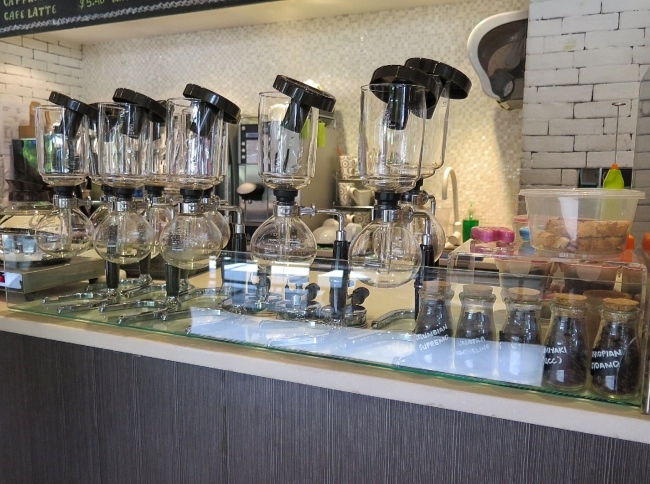 Located at Liang Court which is quite near to Clarke Quay MRT. 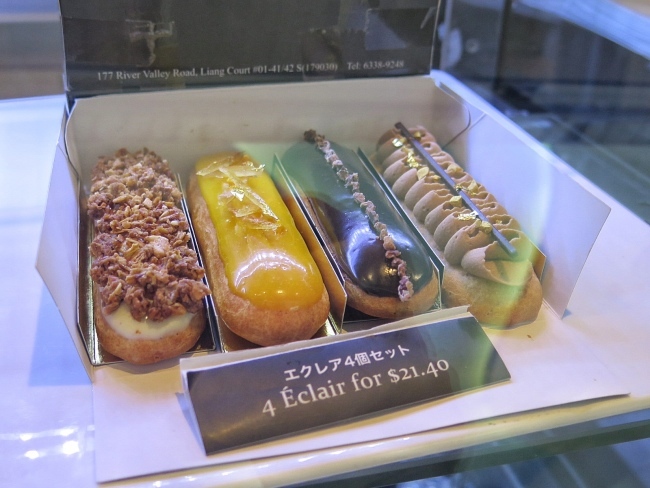 Their pastries and cakes are delicious! Nom Nom! 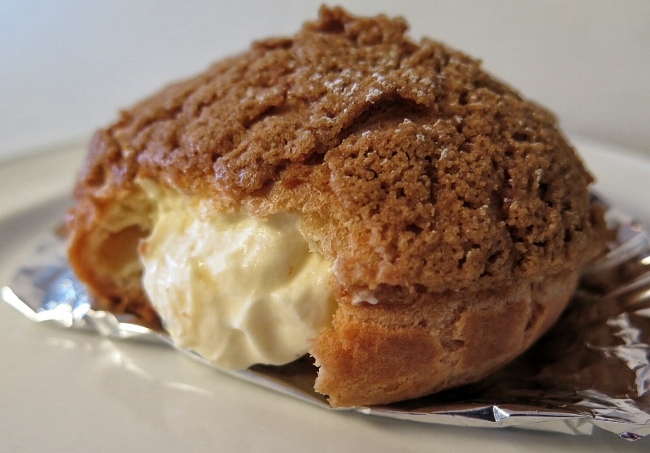 Cream Puff is the main highlight!